An Bang Beach Villas & Houses is the perfect way to visit Vietnam in the privacy of your own home. We have selected only the best abodes for you, your family or group to stay at garenteeing you get that home away from home feeling just off the shores of one of the most sought after beach desinations in Central Vietnam. 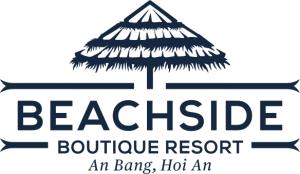 Our houses and villas are dotted along the main beach area, just 30 km from the Da nang international airport and 5km from the Hoi An Ancient town. Your own swimming pool, kitchen, living area and minimally-decorated bedrooms – what more could you need? Just a couple of minutes from An Bang beach, Villa Catani really is a stunning property and a great choice for your Hoi An holiday. A couple of minute’s stroll to the beach, Twin House Green is a gorgeous option for the family getaway should you wish to maintain a little privacy whilst still being close to all the action. Adjoined to Twin House Green, Twin House Blue enjoys a fantastic location only a couple of minutes from the beach. If you’ve got a big group, why not rent out both? An Bang Oasis is a spacious house for up to four people. Situated just a short walk from the beach and popular local restaurants. Make the most of the privacy of your outstanding garden whilst staying here. Whimsical decor and generously-sized bedrooms make this villa a great choice for up to six guests. The villa boasts its own private patio and kitchen. Nestled in a charming street minutes from the beach sits Tan Tanh Beach House. This private abode exudes character to no end with its teal detail and rare dip pool. There’s space for up to four guests here as well as your own private kitchen. The perfect nook for a group of friends or family looking for a home away from home next to the beach.